Above picture pothi with transliteration of Japji Sahib. A rare version of Guru Granth Sahib written in Persian has been presented by eminent Sikh scholar Jasbir Singh Sabar to vice-chancellor of Sri Guru Granth Sahib World University Gurmohan Singh. Stating that the Scripture was retrieved from a book seller by him 50 years ago, Sabar said many incomplete Guru Granth Sahib were found in the Persian script, but it was complete and thus very special. 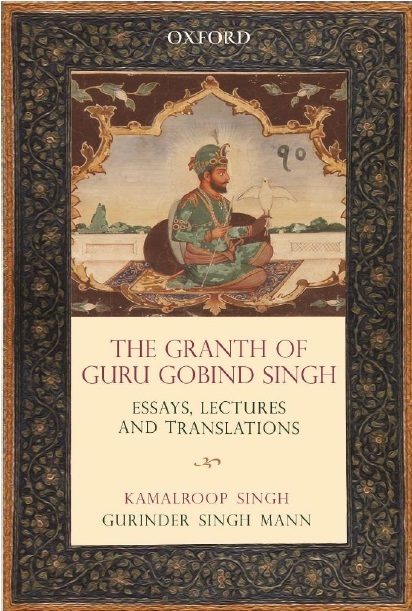 "The translator has mentioned at the end of the book along with other notes that it is an exact replica of Guru Granth Sahib at Damdama Sahib, but in Persian,"he added. Expressing his gratitude to Sabar, the V-C said the Persian version of Guru Granth Sahib would be displayed in the university's reference library.